TSH Newsroom: The only difference between death and taxes is that death doesn't get worse every time Congress meets. Thanks to Will Rogers for the Quote. Taxes are a business reality for some and a non-issue for others but as the government needs more money it's going to have to come from somewhere. Amazon is charging tax now and in all likelihood they will start taxing your business in some way soon. The good news is that MDS has you covered and here are a few options for tax setup and maintenance within the MDS systems. Taxrates.com – Our simplest option, login to the website and download a spreadsheet of all zip codes you have a tax nexus in. You can them upload into MDS this will create the tax jurisdictions. Then when setting up customers just key in the zip code to get the correct tax rate, Update as often as needed check with your accountant. 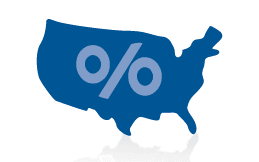 Alternate Option – Taxrates.com with overrides for specific product classes in certain zip codes or jurisdictions. This allows you to flag certain product classes as non taxable in certain jurisdictions. however it does require you to setup additional product classes. There is some added time to review your products and segregate. Salestax.com/Esalestax.com – This is our most comprehensive method. All your tax liability is entered online and each product can be mapped to a specific unspsc code or taxable class (available on their site/spreadsheet). Then each time an order is place a website call is made to calculate the tax. The website allows options for customer specific exemptions and they map to geo codes based upon the shipping address, not zip codes so they are more accurate. They also offer the ability to file your taxes for you with the correct forms for state/local etc Note: There is an added cost from TSH as well on ongoing monthly fees for this service. Speedtax com –This is the same method as Esalestax as they were bought out by CCH (esalestax.com) . All your tax liability is entered online and each product can be mapped to a specific unspsc code or taxable class (available on their site/spreadsheet). Then each time an order is place a website call is made to calculate the tax. The website allows options for customer specific exemptions and they map to geo codes based upon the shipping address, not zip codes so they are more accurate. They also offer the ability to file your taxes for you with the correct forms for state/local etc Note: There is an added cost from TSH as well on ongoing monthly fees for this service. Speedtax offers s pricing advantages as it's designed for online SAAS models and is not strictly based upon volume or business size.